December 21, 2009 during the Kabataan Pasalamat "Thanksgiving"
We are going to miss you Dizzle! I know that the scratched on Ylleah's skin was not bitten intentionally. November 5, 2009 @ 2:30 in the afternoon, a phone call was received from City Vet confirming that the result of the RABIES laboratory examination of our puppy (Dizzle) is NEGATIVE..
On November 10, 2009 a copy of the rabies examination result was given to us. Ylleah caught playing with the bubbles while taking a bath. This was taken at Tinago, Bayawan City when we rented a house there. last September 19, 2009 on their Civil Marriage. August 28, 2009 was the Buwan ng Wika culmination parade of the Bayawan City East Central Scholl (BECS). The preschool department participated the parade, Ylleah was the muse , her costume was designed by her mother. The princess and the prince of preschool department (right). Ylleah together with Nathaniel . This was taken during the Nutrition Month Culmination Program of Bayawan City East Central School on July 31, 2009. Ana Marie with Ylleah during a visit in Cebu City. 14th day of July 2009, Bayawan City East Central School conducted the A1 Child Search to all selected pupils representing each level from preschool to grade V... Ylleah Jjean F. Rosado together with Nathaniel Jakusalem were chosen to represent the preschool department ... the competition will be judged by the following category: the interview, overall appearance of the child (skin, hair, teeth,weight & age) and the talent . This photo was taken before the competition. Yleah posing with her co-contestant ,a half-filipina child representing the grade v department. The winner of the said competition was the daughter of Mr. and Mrs. Loping from grade 2 department. The 5th Birthday Celebration of Ylleah Jjean F. Rosado.The preparation started at 7:00 in the morning and the program at 5:00 PM with games for the children like statue dance ,put back Dora's face and hatdog eating contest. The dinner begun at 6:00 PM with a prayer, singing of birthday song for the celebrant, candles blowing and picture taking. 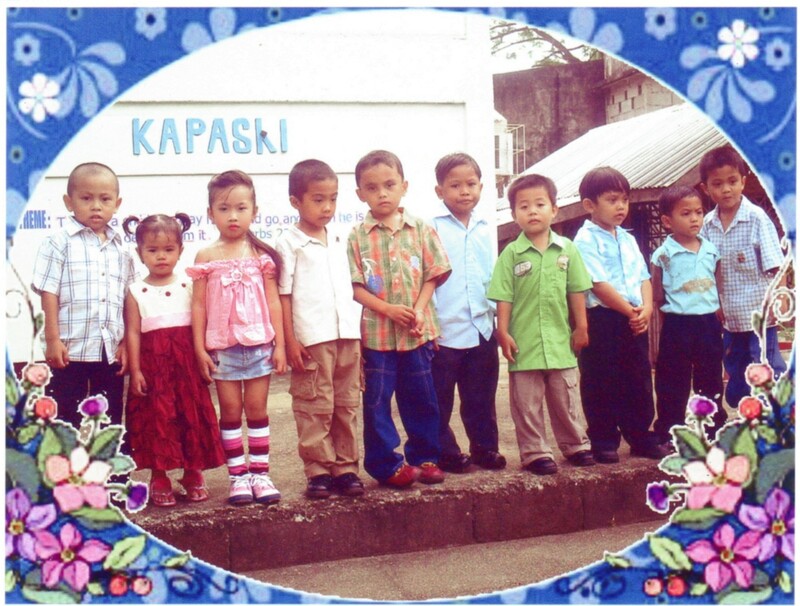 KAPASKI Preschool, Bayawan City celebrated its closing and recognition day. The program started at 3:00 in the afternoon. ....she's our daughter! and we are very proud of her for being so confident in facing that big crowd..